Brown's representative said that the singer checked into a "confidential rehabilitation centre" last week as part of an agreement following his March arrest for drink-driving in Los Angeles. His publicist said that Brown's plea agreement in the case requires that he get treatment for alcohol use. His lawyer Christopher Brown said in a statement that Brown "takes his agreement very seriously". The 43-year-old singer is the former husband of Whitney Houston, who died this year. He married his manager Alicia Etheredge-Brown in June. 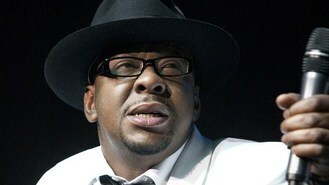 Brown still plans to perform scheduled solo concerts and tour with his group New Edition. His first new album for 14 years came out this summer.